Wolverhampton Wanderers like to dictate matches, so head coach Nuno Espirito Santo will have been pleased to see his side dominate possession and territory in three of their opening four Premier League contests. Results have been mixed, one win, two draws and a defeat, but Wolves successfully imposed their own style on Everton, Leicester City and West Ham United. Champions Manchester City were the understandable exception, although Nuno's side still earned a creditable 1-1 draw. Wolves are a competent passing team who have been able to push their wing-backs on and pin opponents back inside their own half. This style has also helped them to protect goalkeeper Rui Patricio. Ten Premier League goalkeepers have faced more shots than the Portugal international, who has been asked to make only 12 saves. Patricio's opposite number this weekend, Burnley’s Joe Hart, has been far busier and leads the way with 21 stops. 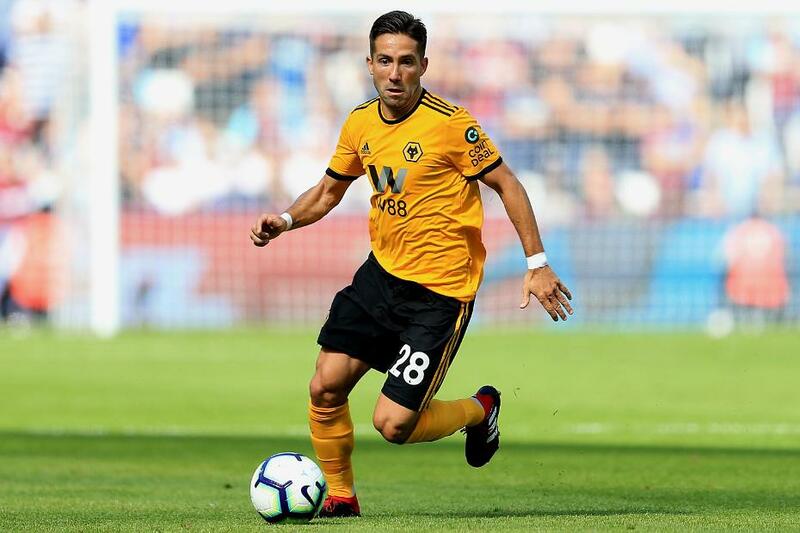 Wolves’ most influential performer, and a chief reason for their authoritative start, is Joao Moutinho. The 32-year-old has been outstanding for Nuno’s side, displaying excellent composure, ball-winning ability and end product. Moutinho has formed a fine midfield partnership with Ruben Neves, but he is neither powerful nor athletic. Instead he uses his intelligence and technique to dominate opponents. The central midfielder has shone brightly for his side in almost every important category. Within Wolves’ adventurous 3-4-3 formation, Moutinho is not called upon to make too many forward runs. There are five players regularly used ahead of him, so he tends to hold his ground inside the middle third, an area he patrols alongside Neves. However, Moutinho should not be mistaken for a defensive midfielder. He has made the second-highest number of forward passes in the Wolves side, behind defender Willy Boly, and poses a significant attacking threat. His precise final-third passing and a crossing accuracy of 60 per cent have given Wolves a cutting edge. With seven key passes, he is their most creative player. 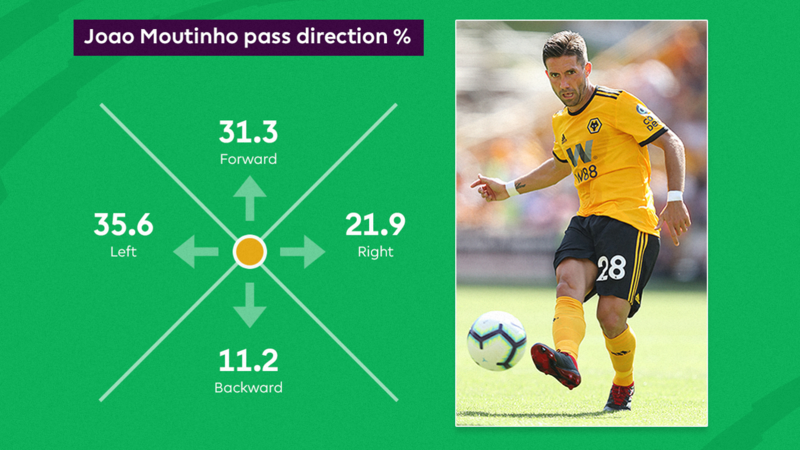 If Wolves succeed in pushing Burnley deep at Molineux on Sunday, the visitors will need to avoid giving Moutinho the time and space to deliver his pinpoint crosses. Moutinho will relish his battle with a combative Burnley midfield, and he has the experience, quality and form to inflict maximum damage.